INTRODUCING A BETTER WAY TO TAKE PILLS. WE MAKE PILLBOXES DESIGNED TO LOOK AS GOOD AT BRUNCH AS THEY DO AT YOUR BATHROOM COUNTER. Get healthy. Get organized. Get going. portable, secure pillboxes available in five fresh colors. 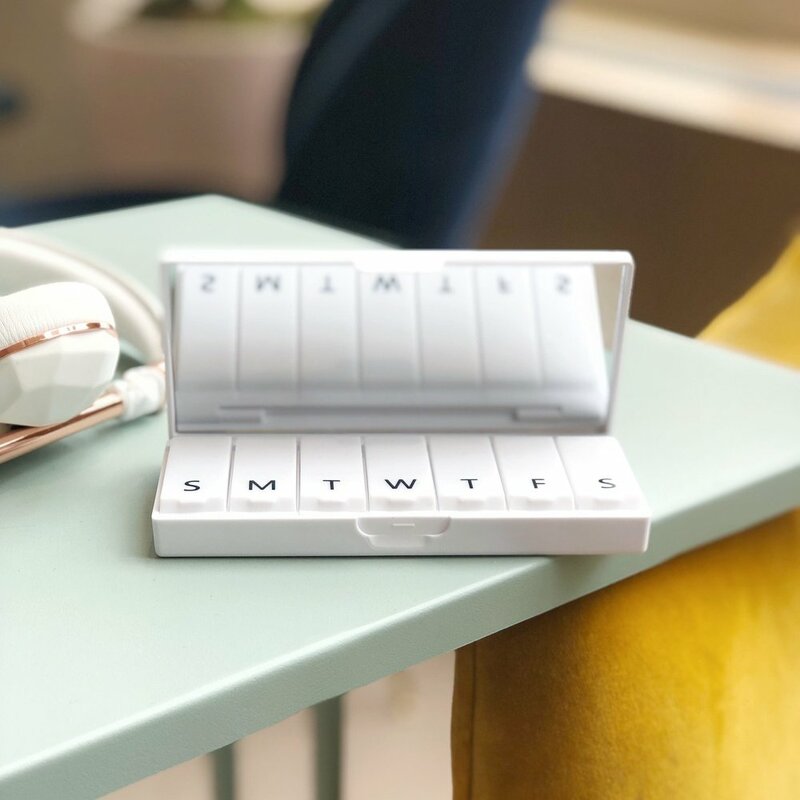 With a soft-touch matte finish and a clean design available in five fresh colors, our pillboxes are designed to look as good at brunch as they do on your nightstand. Measuring around the size of an iPhone, our pillboxes are portable and secure, featuring a tight-fit top cover and seven interior compartments with individual lids. whether you're at work, AT the gym, or hanging out at home. WHEREVER AND WHENEVER YOU NEED THEM.